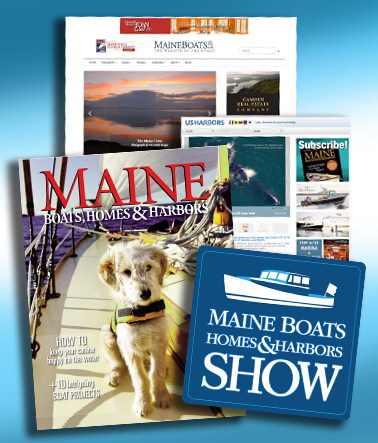 Maine Boats, Homes & Harbors connects you with buyers IN PRINT in the pages of the magazine, ONLINE at maineboats.com, and IN PERSON at the annual August show. IN PRINT. 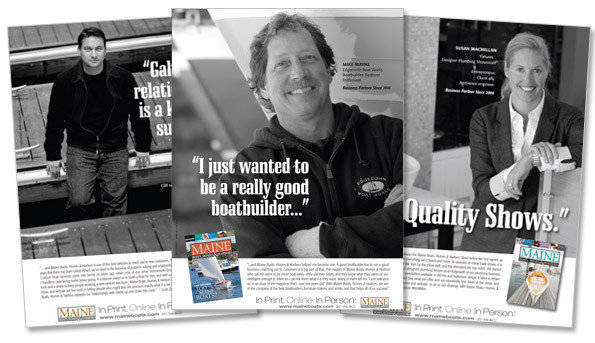 Since 1987, Maine Boats, Homes & Harbors magazine has told the stories of our state’s most talented people: boatbuilders, architects, artists, builders, designers, and craftsmen of all stripes. Six times a year, its pages are filled with the many aspects of maritime life: boats, homes, art, food, wildlife, history, and cruising. In Print, Online, In Person. With more than 20,000 dedicated readers who are active boaters, collectors of fine art and furnishings, and discriminating buyers, Maine Boats, Homes & Harbors delivers a quality audience. ONLINE. The award-winning maineboats.com presents the best of the Maine coast with the combined power of text, photos, audio, and video. Web-exclusive content, daily weather, tide charts, photo galleries, and a Coastal Directory full of the finest Maine-made products and services provide online readers with even more information about the Maine coast, and what your business has to offer. IN PERSON. Every August on the Rockland waterfront, the Maine Boats, Homes & Harbors Show brings the finest boats, marine goods, furniture, art, and home-ware exhibitors together and face to face with thousands of attendees. This live version of the magazine is the state’s only in-water boat show. It draws qualified buyers who appreciate fine craftsmanship in all its forms, and who are willing to pay for it. Learn more about a few of our marketing partners.